GRAND FORKS, N.D. — August 13, 2018 — The 2nd Leg of the Gerdau Recycling Northern Tour for the World of Outlaws Craftsman Sprint Car Series takes to the track on Friday, August 17 at River Cities Speedway in Grand Forks, N.D. Donny Schatz was victorious in the 1st Leg of the Northern Tour in June, which marked his sixth win in the last seven World of Outlaws races at the track and 10th overall, which leads all drivers. Also in action will be the NLRA Late Model Series. This edition of Up to Speed sets the stage for 2nd Leg of the 2018 Gerdau Recycling Northern Tour for the World of Outlaws Craftsman Sprint Car Series. River Cities Speedway is a high-banked, three-tenths-mile. The track record of 9.269-seconds at 116.517 mph was established by two-time World of Outlaws Craftsman Sprint Car Series champion Jason Meyers on August 21, 2009. Donny Schatz is the winningest driver in World of Outlaws Craftsman Sprint Car Series competition at River Cities Speedway. The North Dakota native has 10 total wins at the track, including in eight of the last 11 races for the series at the high-banked bullring. Schatz has won at least once at River Cities Speedway in each of the last six seasons. Daryn Pittman, the 2013 series champion, won at River Cities Speedway in 2014, while Kraig Kinser also is a past winner at the track. In baseball terms, Donny Schatz is a batting a thousand when it pertains to top-10 finishes at River Cities Speedway. The nine-time and defending series champion is a perfect 22 for 22 in the top-10 finishes department. In fact, 20 of those finishes are top-five performances. A pair of seventh-place showings are the worst for Schatz in the 12 seasons the Outlaws have been visiting the high-banked oval. David Gravel has recorded six straight top-10 finishes at River Cities Speedway, dating back to 2015. Sprinkled in that solid string of a races was a win in June of 2017 at the track, which snapped a four-race win streak that Donny Schatz has been on. Grave finished eighth in June at River Cities. Daryn Pittman, Brad Sweet and Shane Stewart all added top-five finishes to their stats sheet at River Cities Speedway in June. Pittman has 10 top-10 finishes in 13 starts at River Cities in his career. Sweet, who is Pittman’s teammate at Kasey Kahne Racing, has eight top-10 runs in 12 starts, with six of those being top-five performances, including back-to-back runner-up finishes as he chases his first win at the track. Stewart has six top-10s in eight starts, with a trio of those being top-five runs, including a fourth-place effort in June. Jason Sides has competed in 20 of the previous 22 World of Outlaws Craftsman Sprint Car Series events at River Cities Speedway, dating back to 2007. The veteran driver has nine top-10 finishes at River Cities, with a pair of those being top-five runs, including a runner-up finish in June of 2011. Kraig Kinser has also been in attendance for a majority of the Outlaws races at River Cities Speedway. The third-generation driver has made 17 starts at the track over the last 12 seasons. Kinser won at River Cities in 2012 and has eight top-10 finishes at the venue. Jacob Allen has been close to scoring his first-career World of Outlaws Craftsman Sprint Car Series win, a handful of times over the last two months. The 24-year-old, who has led several laps of feature racing competition this year, led his first ever laps with the Outlaws in June of 2017 at River Cities Speedway. Logan Schuchart, who is Allen’s teammate at Shark Racing, recently won his first race of 2018, taking the finale of the Ironman 55 Weekend in Missouri. Schuchart has a pair of top-five finishes in his career at River Cities Speedway. Sheldon Haudenschild scored his first-career World of Outlaws Craftsman Sprint Car Series win on opening night in February in Florida. The fourth-generation driver has added three more wins since then as he continues a breakout season that see him currently sit sixth in points. Haudenschild has one top-10 finish at River Cities Speedway in his young career. Greg Wilson, who is in his third full season on the road with the World of Outlaws Craftsman Sprint Car Series, changed chassis manufacturers and engine providers prior to the busy stretch of races in July, and those changes have been paying off, with several strong runs, including a season-best runner-up finish in the Knight Before the Kings Royal at the famed Eldora Speedway in Ohio. Wilson has a pair of top-10 finishes in his career at River Cities Speedway. Brent Marks, who is in his sophomore season on the road with the Outlaws and Ian Madsen, who is in the midst of his rookie campaign, have a limited number of starts at River Cities Speedway. Madsen has made a total of five starts at the track and has two top-10 finishes. Marks, who has two win this season, has visited Grand Forks three times and also has a pair of top-10 showings. Leading the way for the local contingent against the World of Outlaws Craftsman Sprint Car Series is Mark Dobmeier, the multi-time track champion and winningest sprint car driver in track history. The Grand Forks native charged from the 25th starting spot to finish ninth in June. Also expected to challenge the Outlaws are Thomas Kennedy, who was fastest in time trials against the series in June, Blake Egeland, who recently won his first race at the track, former track champion Austin Pierce, Jade Hastings, Jordan Adams and Bob Martin among others. The NLRA Late Models Series will join the World of Outlaws Craftsman Sprint Car Series at River Cities Speedway. In June, Ricky Weiss made the trip south from Winnipeg to win the companion event to the Outlaws race. Donny Schatz, who recently won with the NLRA at Nodak Speedway in his hometown of Minot, finished fifth in June in the NLRA race. Dustin Strand is the current NLRA point leader over Brad Seng and Mike Balcaen. 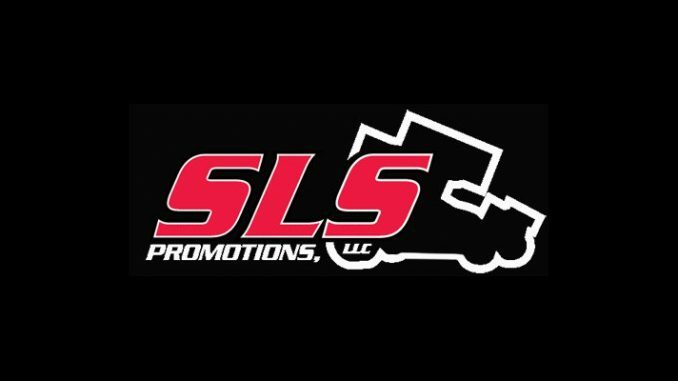 Tickets for the 2nd Leg of the Gerdau Recycling Northern Tour at River Cities Speedway on Friday, August 17, featuring the World of Outlaws Craftsman Sprint Car Series and NLRA Late Model Series can be purchased in advance online at https://slspromotions.ticketforce.com, as well at ticket outlets in the Grand Forks area, the River Cities Speedway office and at the track on race day.